American International CDK648 Installation Kit '04-Up Chrysler/Dodge; A.I. 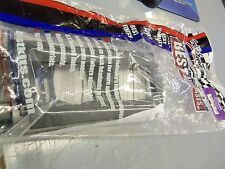 Metra 99-6507 Chrysler/Jeep Multi-Kit Installation Kit 2004-Up. Shipped with USPS First Class Package. PT Cruiser 2Sebring Sedan 2001-05. Sebring Convertible 2001-06. Sebring Coupe 2001-06. Sebring Sedan 2001-05. Town & Country (Mini Van). Recessed DIN mount. RecessedDIN mount. We are committed to providing you a quality product at the lowest prices possible. Wiring Harness: XSVI-6522-NAV Chrysler CAN rap harness 07-up CHTO-03 Chrysler CAN amp harness 07-up. Ram Chassis Cab. Chassis Cab 3500/4500/5500 2012. Ram Chassis Cab 2011. • We strongly encourage professional installation of any electronic devices. Wiring Harness: XSVI-6522-NAV Chrysler CAN rap harness 07-up CHTO-03 Chrysler CAN amp harness 07-up. Contoured and textured to match factory dash. Chassis Cab 3500/4500/5500 2012. Ram Chassis Cab 2011. Single DIN Installation Kit for 2005 Chrysler 300 and Dodge Magnum. Unit Size: 1 DIN. Install dash kit for Single DIN/ISO Radios. Compatible Vehicle Make: Chrysler, Dodge, JEEP. Designed and manufactured with precision tolerances, resulting in a gapless fit between the dash and the kit. Chrysler Concorde (1993-1997). • Chrysler Cordoba (1975-1983). • Chrysler E-Class (1983-1983). • Chrysler E-Class (1984-1993). • Chrysler Fifth Avenue (1979-1983). • Chrysler Fifth Avenue (1984-1993). 99-6503 Dash mount. 70-1817 wiring. For Select 1998-2009 Jeep Dodge Chrysler Models. PT Cruiser 2001-05. Sebring Convertible 2001-06. Sebring Coupe 2001-06. Sebring Sedan 2001-05. Durango 2001-03. Dakota 2001-04. Caravan 2001-07. Double DIN dash kit for Dodge Durango 1997-2000 and Dodge Dakota 1998-2000, with textured radio trim panel. - Fuse Holders. - Dash Kits. Durango 1997-2000. Dakota 1998-2000. Empty Sub Boxes - Dodge. - Installation Adapters. Best Price. Our goal is to save YOU money and put it right back into your pocket. in your car or truck. • Chrysler PT Cruiser (2001-2001). • Chrysler PT Cruiser (2002-2005). • Chrysler Sebring Coupe/ Sedan (2001-2001). • Chrysler Sebring Convertible (2001-2001). • Chrysler Sebring Convertible (2002-2005). Van 1974-03. 150/250/350 Van. • We strongly encourage professional installation of any electronic devices. Ranger (Mini)1983-88. LTD 1979-86. Omni 1978-90. • Warranty service will be refused if serial number of unit does not match that of serial number sold by us. 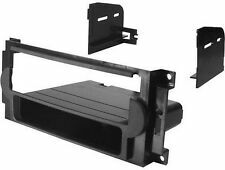 Double DIN Dash Kit for Dodge - Durango 1997-2000, Dakota 1998-2000. Installation Dash Kit for Double DIN Headunits. Accommodates ISO Double DIN mount. Compatible Stereo Size Double DIN. Gapless fit between the dash and the kit. Manufacturer Part Number BKCDK650. Product Title Best Kits Vehicle Mount for Radio (BKCDK650). Product Type Vehicle Mount. We focus on making purchasing online a pleasant experience. Our sales office is located in beautiful town of Redondo Beach, California, just a few miles South of Los Angeles International Airport. Product Title Ai Radio Install Kit (CDK640). Compatibility: DIN & Shaft Radios. fits din & shaft radios. includes iso trim ring & custom shaft trim plate. Custom Shaft Trim Plate. Product Type Vehicle Mount. Product Title Ai Radio Install Kit (CDK648). Compatibility: Chrysler Vehicles: 300 C - 2005 Dodge Vehicles: Durango - 2004 Magnum -2005. Radio Install Kit Includes Product Type Mounting Adapter Kit. Fuse Holders. - Dash Kits. - Motorcycle Speakers. 2006-2007 PT Cruiser. Best Kits plastic dash trim kits are designed by industry experts for the best factory fit and finish. They are manufactured from the highest quality materials for maximum reliability. Product Title Ai Radio Install Kit (CDK636). Compatibility: Jeep Vehicles: Grand Cherokee - 1999-04 Liberty - 2002-05 Wrangler - 2003-05 Chrysler Vehicles: Concord - 1998-04 PT Cruiser - 2001-05 LHS - 1998-01 300M - 1999-04 Sebring - 2001-05 Town & Country - 2001-05 Voyager - 2001-03 Dodge Vehicles: Caravan - 2001-05 Dakota P/U - 2001-04 Durango - 2001-03 Intrepid - 1998-04 Neon - 2002-05 Ram Pickup - 2002-05 Stratus - 2001-04. • Chrysler Sebring (2007-2007). • Jeep Wrangler (2007-2007). • Dodge Nitro (2007-2007). Car specific CD Player removal and installation instructions included! ISO Trim Rings are provided for a custom looking install. Radio Installation Kit For Jeep Liberty (Kj) Rocky Mountain Edition 2005. Radio Installation Kit. Car Audio Accessories. Need help?. Talk to the experts by calling 1-877-701-HALF (4253). Marine Audio. Compatible with 2007-2008 Chrysler, Dodge and Jeep vehicle models. Give us a chance fix the problem. We keep records of Serial Numbers for all units we sold. Best Kit BKCDK648 Chrysler Dodge Jeep 04 - 06 For New Style Radio Din W/ Pocket Best Kits plastic dash trim kits are designed by industry experts for the best factory fit and finish. They are manufactured from the highest quality materials for maximum reliability. Best Kits Bkcdk648 In-dash Installation Kit [chrysler[r]/dodge[r]/jeep[r] [most Vehicles] 2004-2007 With New-style Radio & Iso-mount Radios With Pocket Single-din]. Manufacturer Part Number BKCDK648. Product Title AAMP BEST Installation Kit (BKCDK648). '05-06 DURANGO MAGNUM FACTORY AMP BYPASS. Details about Enrock Audio Car / Marine 50 Foot Installation Speaker Wire. Factory Integration Wiring Harnesses. Details about Enrock Audio Marine Grade Antenna, Various Size and Applications.